Punk hairstyles are created from inspiration drawn from artists, rockers, and personal influences. 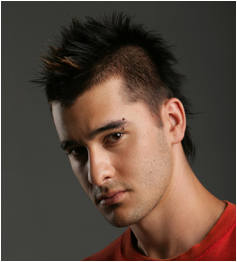 The wearer can tailor the look to his or her individual taste, there are no specific rules. 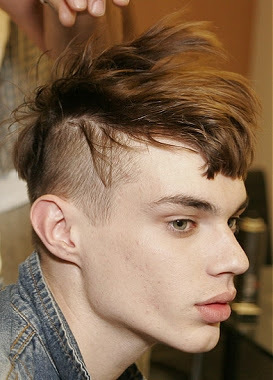 Just go for something unruly and out of the ordinary and remember that punk style is meant to get you noticed. 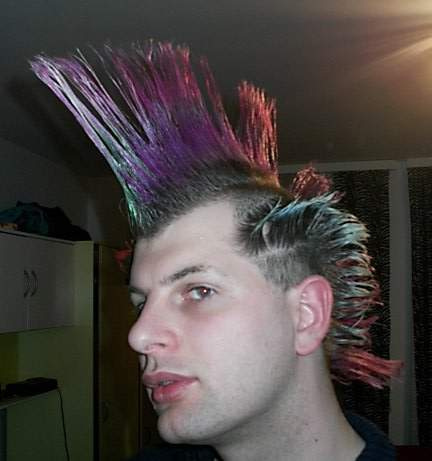 Popular punk styles include the Mohawk, a vertical stripe of hair running from the forehead to the back of the skull (usually with shaved sides,) and grungy "just rolled out of bed" looks (usually the least time consuming to construct.) 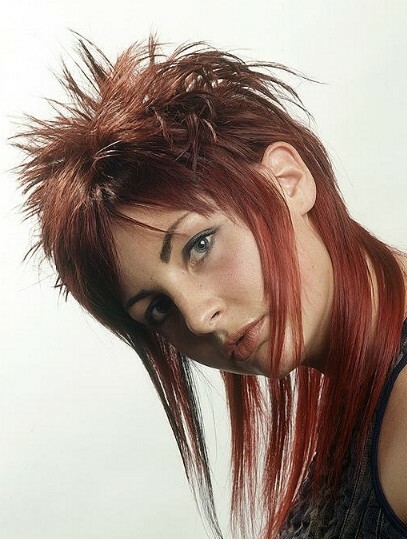 Depending on how much time one spends on his or her style, it can change drastically from day to day. 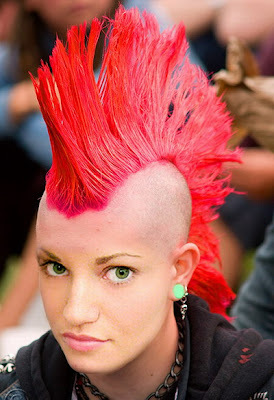 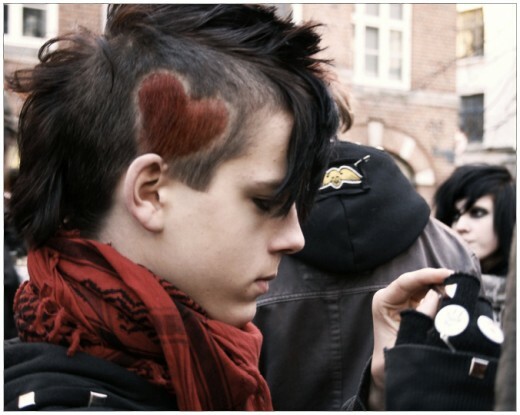 Punk hairstyles often use lots of styling products and are harsh and stiff as opposed to flowing locks of hair. 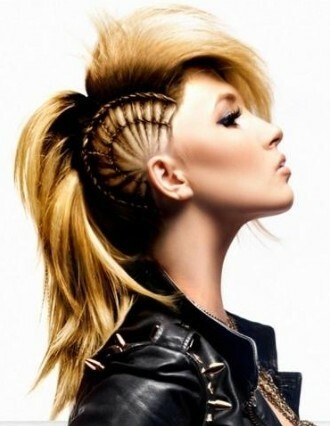 Accessories and alternate styles, like braids, can also be integrated to create a unique punk style.